As part of our mid-season sale, we are offering an extra 10% off lines found in our online shop. 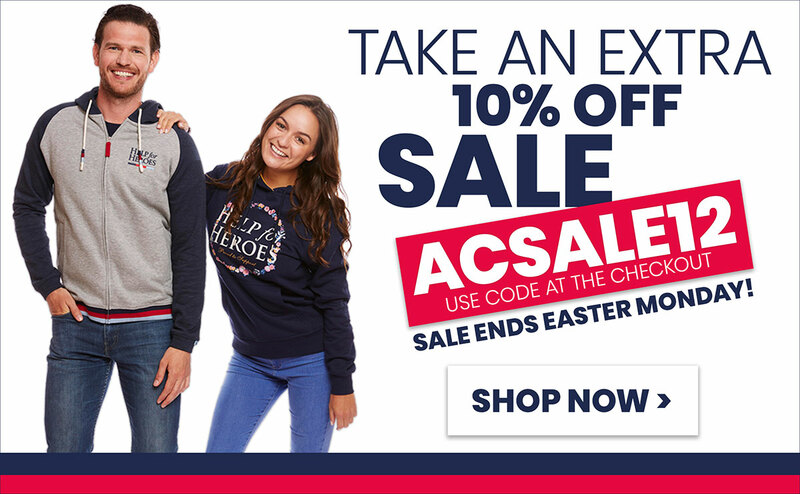 Hurry though as the SALE ENDS on Easter Monday - 22/04/2019. 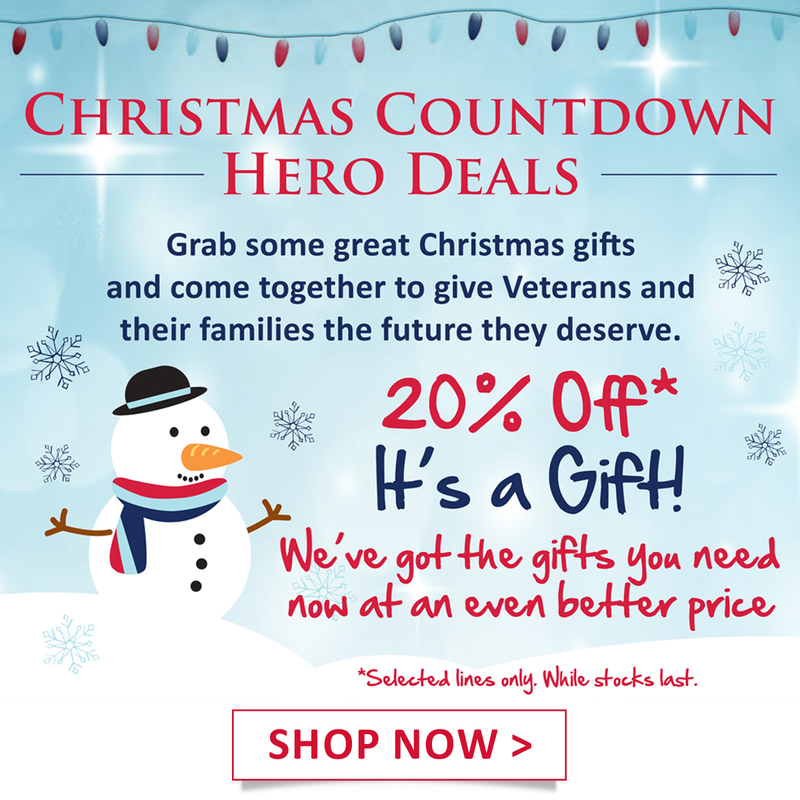 Use the code ACSALE12 at the checkout. Our Spring 2019 catalogue has officially launched! Featuring all of our current products, brand new lines combined with old favourites. 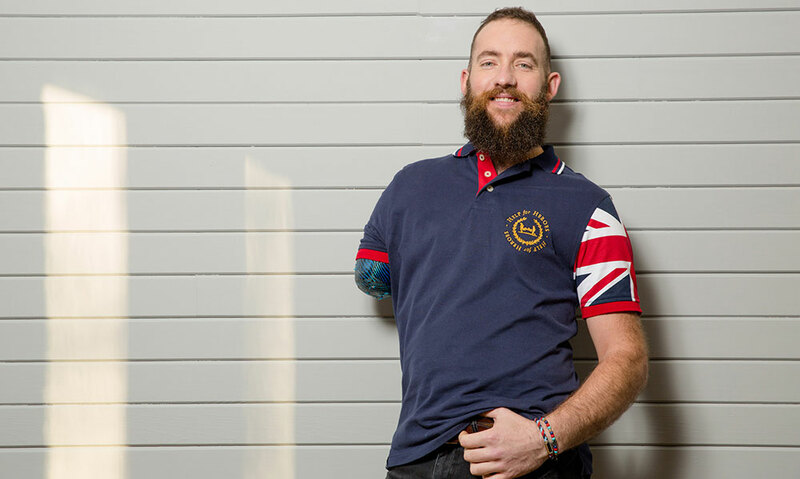 This edition focuses on Dan Richards, a Veteran who lost his right arm and shoulder after an accident and was medically discharged from the Army in 2012. He is now a professional model, cyclist and body confidence ambassador. 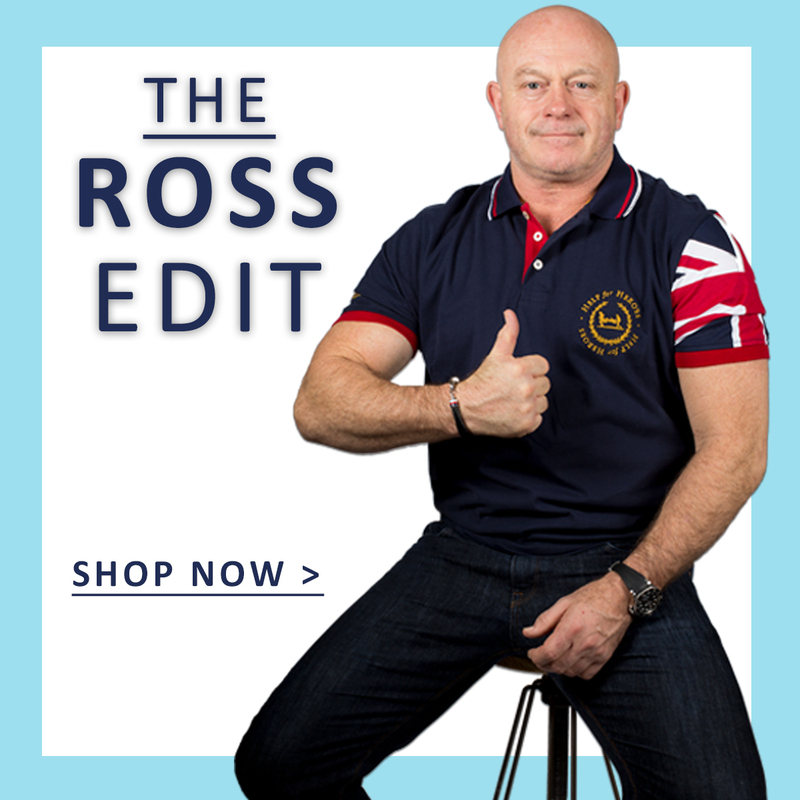 The catalogue also features Veterans Andy Perrin, Rav Wilding and many of our latest collections. CODE CHANGE - Get Free P&P on all orders on our online shop using the code 0319PPFREE. Combine with our current classics sale to pick up a great discount and save on delivery. THIS CODE EXPIRES ON 31 MARCH. Introducing our new Flowers of Friendship Stationary Collection. 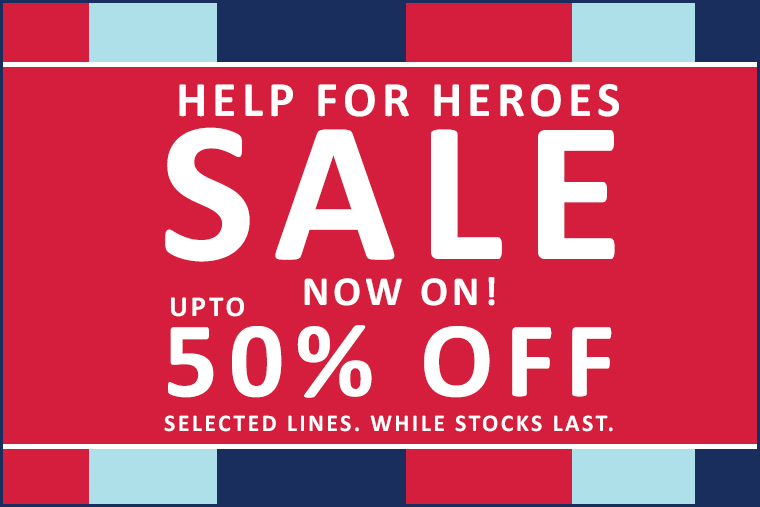 The collection was exclusively designed by the Help for Heroes Band of Sisters, the fellowship support network for the loved ones of injured Veterans and Service Personnel. Any of these products would make a wonderful gift, especially for Valentine's Day, or brighten up any desk. Introducing our new Military Blueprint T-Shirt Collection! We have designed four new t-shirts each detailing an iconic piece of military equipment. The Churchill Tank, the Hercules and Avro Vulcan aircraft and the X-Class submarine. They are already among our top sellers for last week! Check out them out by following the deep link below. 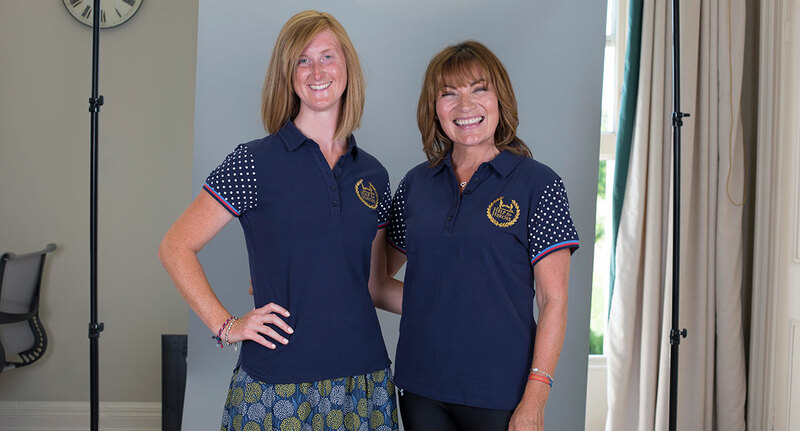 Lorraine Kelly is a key supporter and advocate for Help for Heroes. She has been involved with fundraising, baking for Bake for Heroes, promoting our cycling events and getting to know our beneficiaries. Lorraine kindly joined us on a photoshoot to promote our line of women's products. Even on the hottest day of the year, she remained cool despite wearing our hoodies! Lorraine has had a positive effect on sales and the items she's wearing in her collection continually top our bestseller list week on week. Take advantage of this effect by promoting the Lorraine edit. (Link below). Get Free P+P on all orders from now until the end of October using this code at checkout: 10H4HPPFREE. Our model of the moment, Craig Gadd joined us on our latest photoshoot at Tedworth House and looks like a total hero in our new lines. 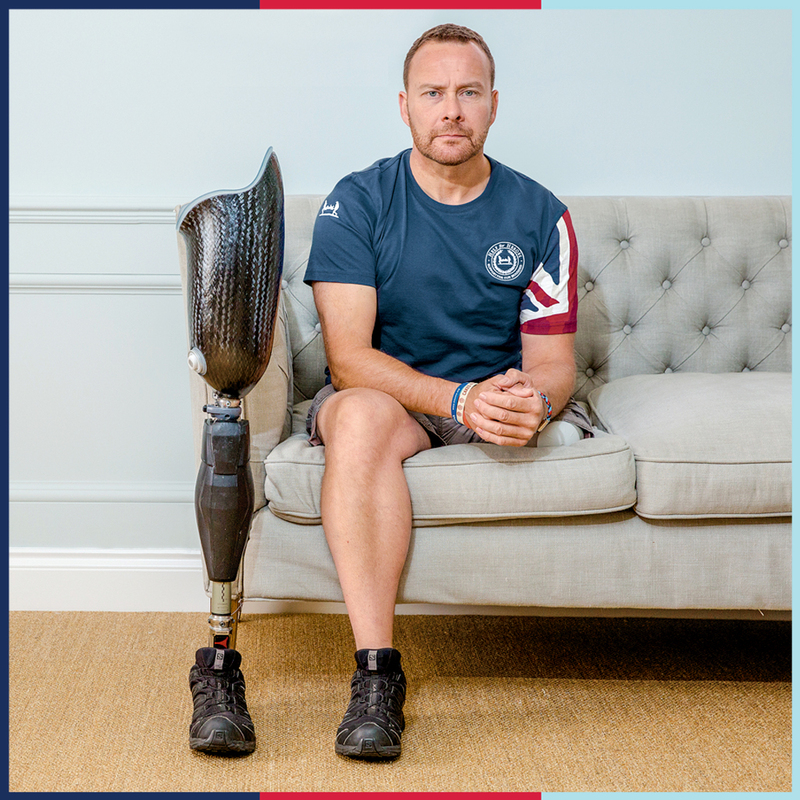 Help even more heroes like Craig continue their stories by inspiring customers to shop Craig’s collection using the link below.